The popularity of plastic surgery is increasing all over the world. Thousands of different procedures are performed on a regular basis. While the majority of cosmetic surgeries are done to enhance the appearance, some of them are performed on people, who can’t lead a normal life without them. Plastic surgery procedures similar to what we have now have been performed since the early 15th century. However, the earliest surgeries date back to the 6th century B.C. when Indians performed skin grafting. The rise of the cosmetic surgery as we know it happened only about three decades ago. The reason is the emergence of new technologies. It’s easy to imagine how crude the results of a 6th-century surgery may have been. In the 15th – 19th century, many people have died due to incorrectly performed procedures, lack of hygiene, and absence of proper recovery treatment. Thankfully, today, the overall approach to plastic surgery is not just dictated by the medical advancements, it’s subject to the new technologies. The contemporary cosmetic surgeries involve less invasion, quicker process, and faster recovery. Let’s take a look at what new technologies have done for the plastic surgery industry. Just a few years ago, getting a facelift involved plenty of scarring. The reason why many people who wanted to get a facelift said “no” to the procedure is that the scars could make it obvious that they had it. The appearance of an endoscopic facelift has solved the problem. Instead of making a large incision at the temples and around the ears, the surgeon makes a slight cut (not larger than 5 mm) at the temples and scalp. The endoscope allows the surgeon to have an excellent view of what’s going on under the skin layer without making a large cut. Endoscopic technologies have numerous applications in surgery. Finally, they have made their way to the plastic surgery sector. The important benefit of getting an endoscopic facelift, besides fewer scars, is a reduced risk of permanent face numbness. While the endoscopic lift can be performed on the top part of the face, the lower face and neck can’t be fixed with this procedure. They require a traditional approach. Today, a patient can use the fat from other parts of her body to make the breasts larger. The technologies have made this new approach to breast augmentation possible. The non-invasive method of doing that has made the new technique popular all over the world. To start, a surgeon takes a small piece of fat from a certain area of the patient’s body. In fact, a patient herself can choose which part should become a donor. Then the surgeon injects the fat into the breasts. The new technology of breast augmentation allows avoiding large cuts for implants. Accordingly, no scarring is involved. The recovery period is much faster than for the traditional breast augmentation. Meanwhile, the breasts look more natural than when implants are used. The downside of this method is that it only works for women, who need a slight breast enlargement or a shape improvement. Substantial breast enlargement still requires implants. The latest technique of using fat for breast augmentation involves tissue liquefaction technology (TLT). Special equipment is used to safely remove fat cells, minimizing the trauma to the donor body part. The laser technologies have changed many approaches to appearance improvement in the beauty industry. Laser skin resurfacing has become a popular procedure among women and men all over the world. Using a laser makes the procedure non-invasive. It doesn’t require a hospital stay and has a short recovery period. Skin resurfacing with a laser improves the overall appearance of the skin, softening the wrinkles, eliminating sun damaged spots, acne, and much more. The laser gently removes old skin layers, allowing new and fresh ones to grow. 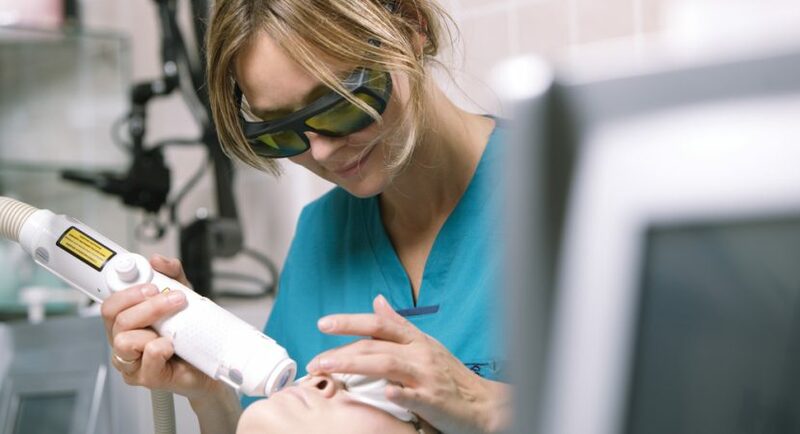 The most common method today employs CO2 laser resurfacing technology. It uses the ultrapulse (short-pulsed light energy) or continuous light beams to remove thin skin layers with a minimum damage. Technologies are revolutionizing the beauty industry, allowing people to look and feel better. As new technologies appear, the new plastic surgery techniques are developed at an impressive rate.